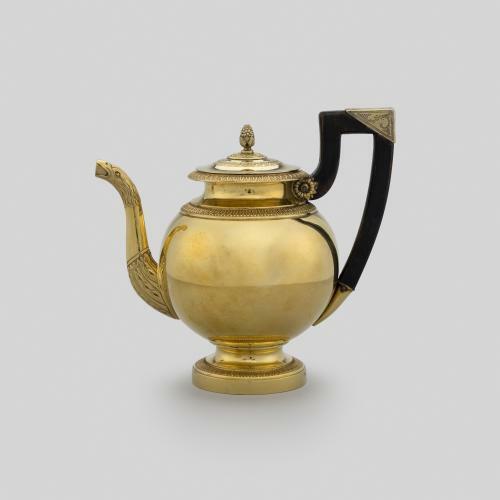 This bullet-shaped teapot is made from bloodstone mounted with gold openwork. Bloodstone, also known as heliotrope, is a variety of jasper typically coloured green with red inclusions of hematite (the mineral form of iron oxide). The gold openwork design depicts a story about the pursuit of love which includes scenes such as the hunt and a courting couple in a boat. 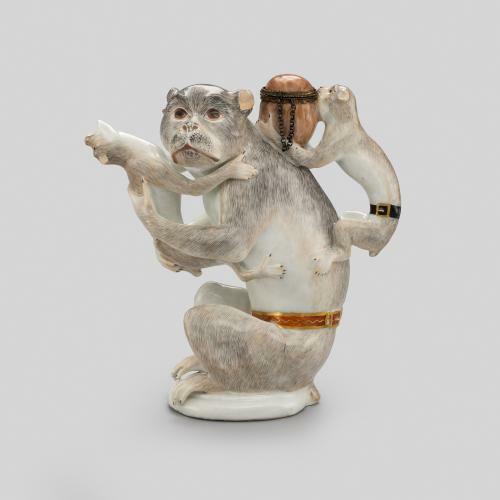 The finial of the teapot takes the shape of a seated Cupid who aims his bow and arrow at two love birds on the spout. The motifs and decoration on this teapot demonstrate the influence of the rococo style, a style that was fashionable in Europe during the middle of the 18th century and was characterised by asymmetry, natural motifs and scrollwork. 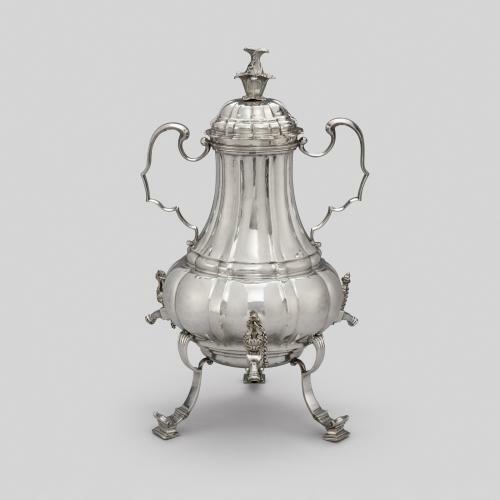 This teapot was once owned by the collectors Barons Nathaniel and Albert von Rothschild and from 1943 to 1999 it was on display in the renowned Museum of Applied Arts in Vienna.